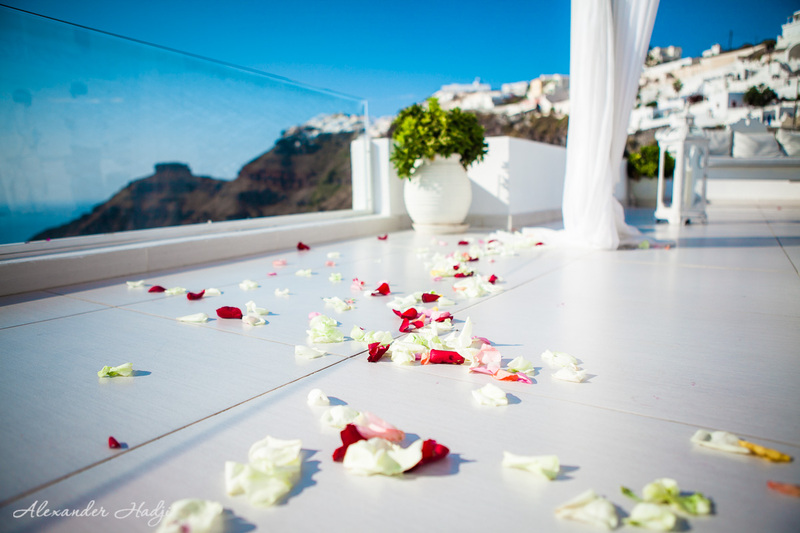 Read this wedding in Santorini Dana Villas review by Alexander Hadji and get inspired for your own special day! 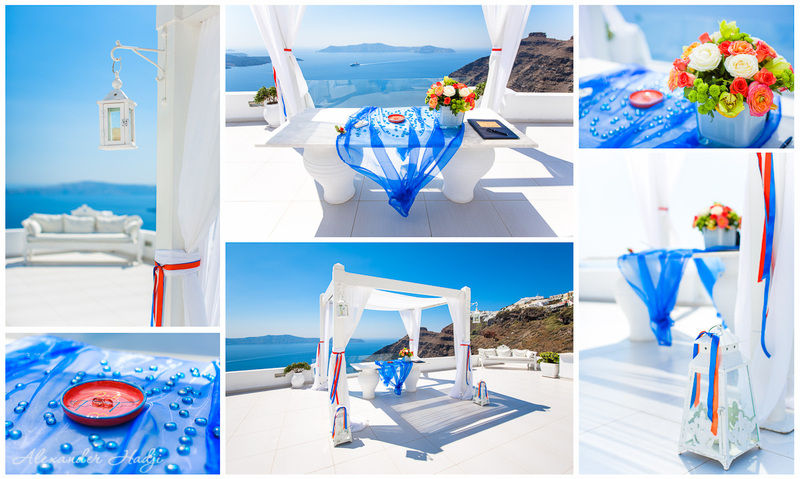 When planning a wedding in Santorini it’s crucial to choose a right location. 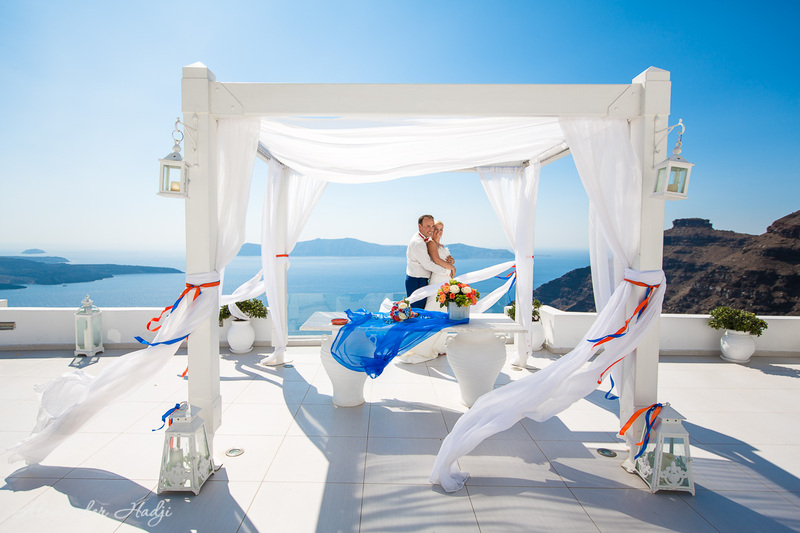 Santorini has several specialized venues for this purpose, and one of the most popular is Dana Villas. It’s located in Firostefani, quite close to the center of the island – Fira, but not too close to interfere with the noisy crowds. Spectacular views, among the best in Santorini, are impressive at any time: from the early morning right up to the sunset. Read more below the pictures. The couples are saved from the daytime heat by the light coating on gazebo and by constant breeze from the Caldera. Additional wedding decorations can be skipped: a white gazebo, turquoise Caldera and the blue sky make an excellent background. Refreshments and service are provided for extra payment. 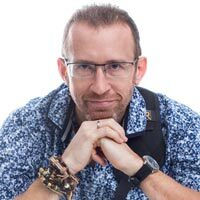 Giannis who is offen in charge of the refreshments will show you classic Greek hospitality garnished with his sweet smile 🙂 It will take you about five minutes walking from the main road to get to the venue. The route will pass through several narrow streets, stairways and corners: a great chance to have a little adventure before the ceremony. And you can enjoy the trip in the company of musicians and the Greek wedding music. 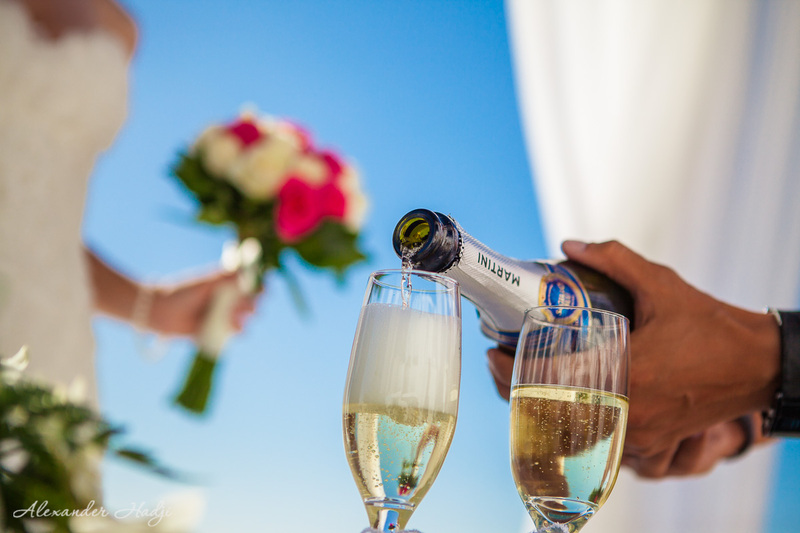 Dana Villas Wedding Venue is usually rented for one or two hours, quite enough for a ceremony and wedding photography with a stunning scenery of the island and the Caldera. 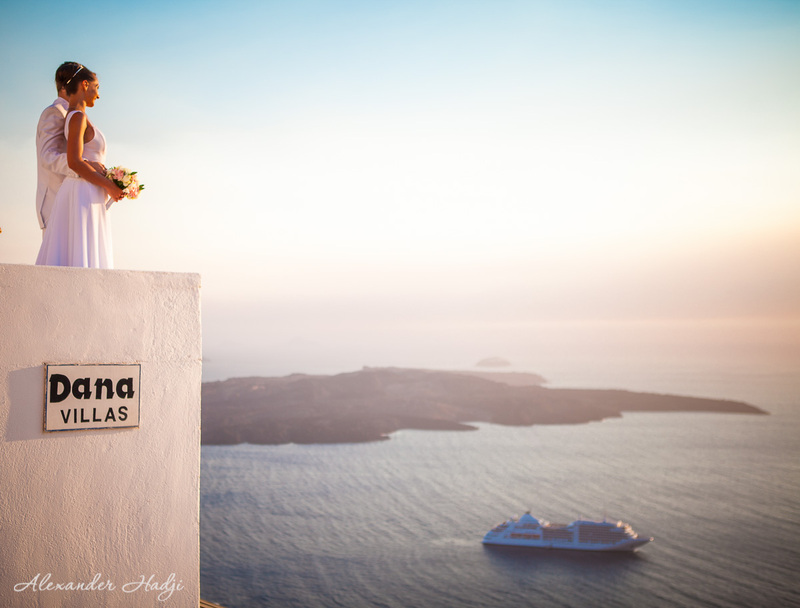 Here you can view a wedding in Santorini that took place in Dana Villas. 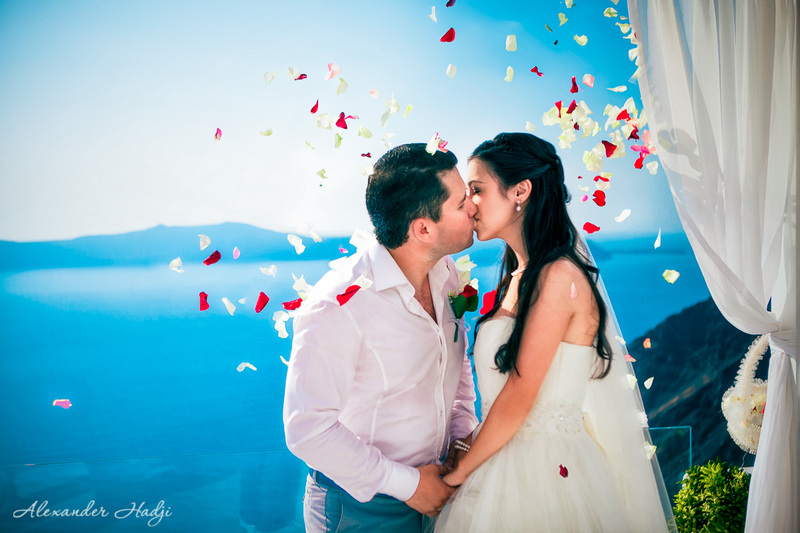 To book your destination wedding photography in Santorini by Alexander Hadji please email info@hadjiphoto.com, make a call to +306951661016, get in touch via FB page or leave your contact details to get a call-back from me.